The 120,000 mile service is considered an intermediate service, but your car is older now, and has traveled considerable distance, so you can expect more parts will need to be replaced, and there is an increased probability that we will find things that need to be fixed. Castro Valley and Hayward have hills, which further increase wear on parts of your car, like brakes or tires. At this point in your car’s life, manufacturers recommend considerably more checks than at the 60,000 mile service, and we will perform more extensive inspections to make sure that you can safely go back on the road. We will check all of the things listed above, and more, and let you know if there is anything that needs to be repaired right away (key aspect being safety or likelihood of a major breakdown). 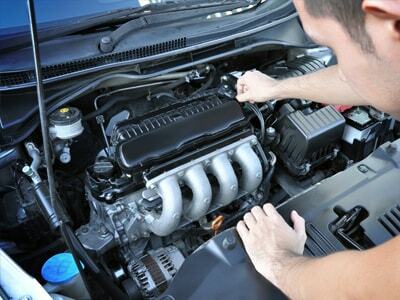 If the issues we find do not require immediate repair, we will monitor them for you when you bring your car for other services, oil change, etc. While this list may seem long, the good news is that after so many miles, your car has proven to be a trusted friend, and the 120,000 miles service will keep it humming and happy for many more miles. If your car has been well maintained, the 120,000 mile service is like a “middle age” checkup – we want to find and fix things that need fixing, but for many cars, we expect they have another 120,000 miles ahead of them. So if you have any concerns about your car – let us know! If your car has passed the 120,000 mile mark and has not been serviced, please schedule an online appointment here, or give us a call. We will have you back on the road in no time.